Lawline’s CEO David Schnurman is always telling Lawline team members, “The key to personal and professional growth is to continue to make yourself uncomfortable” and “Being uncomfortable is part of the journey.” While David usually means to make ourselves emotionally uncomfortable, for our Q2 Wellness Event we made ourselves physically uncomfortable by participating in chair yoga in our formal conference room. 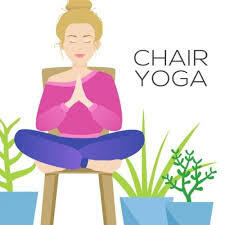 Chair yoga has become popular with individuals with mobility issues, however, it is also a great option for people looking to find moments of inner calm when they do not have a large enough space for mats. In fact, our chair yoga teacher, Ariel Islam, shared that she first started teaching chair yoga when she was working with battered women and needed to find a creative way to help them conduct their practice in a non-traditional space. In our case, the only room that fits the entire company is our conference room, in which the large table takes up most of the space. As such, we used the chairs to help contort our bodies in ways that were unnatural, while at the same time trying our best to avoid poking or kicking the Lawliners on our left and right. 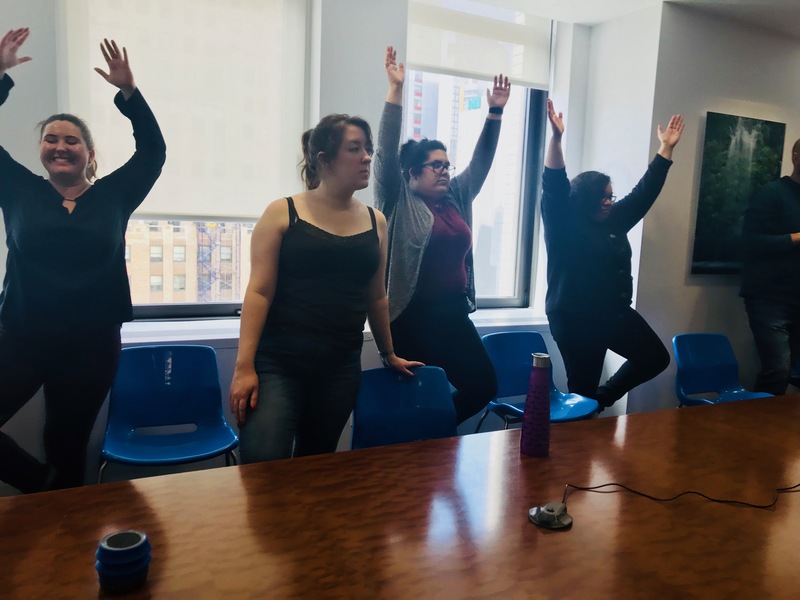 Lawline’s Director of Content, Shaun Salmon, remarked that she has participated in many different yoga classes before, but this was a whole different and new level, especially since she was wearing a dress. Similarly, our Director of Customer Experience, Meredith Cohen, exclaimed “It was a fun and challenging experience which gave me some ideas of things I can try at home.” At the end of the class, we all agreed that we felt more relaxed and energized for the rest of the afternoon. Additionally, while there was more physical discomfort than the emotional discomfort David refers to, we still experienced personal and professional growth by pushing ourselves to find new ways to improve our mental clarity and productivity at the office. As Lawline's VP of Business Operations, Michele helps Lawline recruit and retain A players, and works to create an engaging, vibrant, collaborative work environment for Lawliners and the other like minded companies who share its open tech work space. Michele recently completed her first triathlon with Team Triumph, a women's only tri-group and looks forward to her next competition.